One of the things that made me smile in Damascus was the use of slogans. Tourists are attracted with the sincerely brilliant “Come to Damascus. Get a vision”. (The place where Paul of Tarsus saw the light is along the main road to Bosra.) 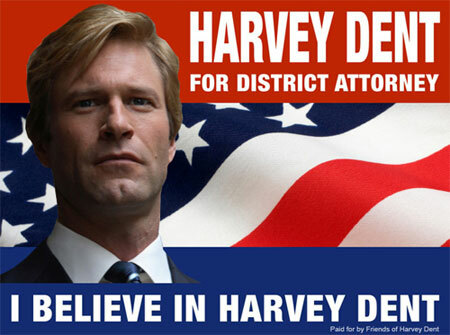 Less felicitous was a series of posters that showed the president, apparently modeled on Harvey Dent and even including a paraphrasis of his slogan (“I believe in Syria”). Another slogan states that Syria was the “cradle of religions” – which indeed attracts visitors. Western Christians come to Damascus to see the place where Paul escaped across the city wall. I once flew from Tehran to Damascus in the company of a group of pilgrims who wanted to visit the tomb of Huseyn, the third imam. Most relics are of rather doubtful authenticity – the window from which Paul was lowered is medieval – but there is a more serious problem with this religious tourism. To understand it, we must go back a while, two centuries, to Berlin. At the beginning of the nineteenth century, the government of Prussia was reorganizing its educational system, and founded a new university that was not based on a medieval model, but on the needs of science and scholarship. Generally speaking, this reform was a great success, and many modern universities are based on the Berlin model. However, for ancient historians, the new model was disastrous, because it became part of two faculties. People studying ancient Greece and Rome had to learn Greek and Latin first, and had to visit the subfaculty of classical languages; those who wanted to study the ancient Near East, had to attend courses at the subfaculty of Semitic languages. What had always been a unity, now became divided – and unfortunately, this division became popular in other countries. In those days, the Greeks and Romans were a source of inspiration to the civilized, liberal bourgeoisie, which believed that the ancients had been free people who thought rationally. Classical Athens and Rome were, therefore, studied from a humanist point of view. On the other hand, scholars interested in the Near East studied the past to better understand the Bible. This was considered to be so important that, once the cuneiform script had been deciphered, priority was given to the publication of those tablets that helped to illuminate the rise of Judaism. Administrative documents, for example, were neglected. So, in the nineteenth century, one part of Antiquity was explored from a humanist point of view, and the other from a religious perspective. Texts were selected accordingly, and it was inevitable that the difference was projected on the past itself. People started to think that the ancient Near East was the cradle of our religions and that Greece marked the rise of rationalism. At the beginning of the twentieth century, all this started to change. Cuneiform tablets have shown beyond reasonable doubt how much the ancient Babylonians had achieved as scientists, echos from Semitic poetry have been found in the oldest Greek literature, and books like Eric Dodds’ famous The Greeks and the Irrational have made it clear that it is silly to think of the ancient Greeks as Enlightenment philosophers avant la lettre. No professionally trained historian can accept the previously mentioned dichotomy. Unfortunately, they are still employed in the mass media – think only of Frank Miller’s 300 (review) and a book like Tom Holland’s Persian Fire (review). Occasionally, a serious scholar succumbs to the charms of simplicity, like classicist Paul Cartledge and political scientist Anthony Pagden, who are apparently serious when they write that East and West are involved in an eternal struggle between freedom and despotism, rationalism and mysticism. The truth is that there is not so much difference between on the one hand Greece and Rome, and on the other hand the ancient Near East. It is quite ironical that the Syrians have accepted the western prejudices about the “cradle of religion”. Syria has a lot more to offer than that. The Battle in the Teutoburg Forest in September 9 CE was, for a long time, recognized as a major turning point in European history. The Romans lost three legions (XVIII, XIX, and probably XVII), and many scholars have argued that this made the Romans retreat to the western bank of the Rhine, leaving the territories in the east unconquered. As a result, Germany was born. There is a lot to be said against this. For example, archaeologists have always dated all Roman objects prior to 9, but are now realizing that there is evidence for continued Roman presence in Germany. But that is not the common error I want to discuss today. I want to argue that the Teutoburg Forest was not a forest. Granted, the Roman historian Tacitus refers to a Saltus Teutoburgiensis (Annals, 1.60), but for centuries, no one knew where this was, until Renaissance scholars argued that it had to be somewhere near the Upper Weser, in a densely forested area. They found what they were looking for: the hills known as Osning, between modern Rheine and Detmold. In the nineteenth century, the Osning was renamed Teutoburg Forest. However, archaeologists have found the battlefield at a place called Kalkriese, north of Osnabrück. The ancient name was given to the wrong site. But as I said, there was not a forest at all. Of course Tacitus’ saltus can mean “forest”, but it can also mean “narrows” (e.g. Livy 36.17, and Livy, Periochae, 22.8, 49.13, and 67.8.). This meaning better fits the situation, as the Kalkriese site is indeed a narrow stretch of land between a hill and a great bog. The author of Tacitus’ source must have thought of this, and Tacitus must have misunderstood this information. But from pollen research we know that there were no big trees, and the only ancient author who refers to them is Cassius Dio, who is well-known for the way he adds details to his stories to give them some local color. Those barbarians on the edges of the earth, in his view, ought to live in an inaccessible country, full of mountains and forests. Naive faith in our sources has seriously impeded research – and perhaps we’re lucky because of that, because now, Kalkriese was found by professional archaeologists, and not looted in the eighteenth century by antiquarians. One of the most famous anecdotes from Antiquity deals with the philosopher-mathematician Pythagoras (c.570-c.495), who discovered the theorem that is named after him, and sacrificed an ox – or even one hundred oxen – to celebrate this. The joke that ever since the oxen are afraid of scientific progress has been used a bit too often by scientists dismissing critical reviews. For several reasons, this anecdote is problematic. In the first place, because it is probably one of those unhistorical tales attributed to Pythagoras. Another example is his legendary visit to the ancient Near East, which is referred to for the first time in the second century CE, when Apuleius says that the Samian sage was “believed by some to have been a pupil of Zoroaster” (Apology, 31). In his Refutation of All Heresies (1.2.12), Hippolytus of Rome (early third century CE) implies that he had read this story in a book by Aristoxenus of Tarentum, a contemporary of Alexander the Great. Yet, even if Hippolytus’ is right (which is doubtful), this means that Pythagoras’ eastern trip is unmentioned by earlier authors describing Pythagoras’ life and opinions, even though Herodotus, Plato, and Aristotle had many opportunities to discuss it. The story is almost certainly invented, just like Pythagoras’ visit to India. The same applies to the theorem that in right-angled triangles the square on the hypothenuse is equal to the sum of the squares on the sides containing the right angle. Pythagoras and his pupils were interested in mathematical proof, certainly, but the first to attribute the theorem to the Samian sage is Proclus (412-485), who lived almost one thousand years after Pythagoras (On Euclid I, 426.6-14 [Friedlein]). A second problem is that the principle was already well-known prior to Pythagoras. Several cuneiform texts from the twenty-first and twentieth century BCE prove the that the ancient Babylonians not only knew that a²+b²=c², but also knew that this principle was generally applicable. There is a difference in the way Babylonians and Greeks proved this rule, but it is possible to overstate Pythagoras’ importance. J. Høyrup, ‘The Pythagorean “Rule” and “Theorem” – Mirror of the Relation between Babylonian and Greek Mathematics’ in: J. Renger (red. ): Babylon. Focus mesopotamischer Geschichte, Wiege früher Gelehrsamkeit, Mythos in der Moderne (1999). You are currently browsing the archives for the common errors about Antiquity category.